You must have heard the famous quote " Life Is Too Short to Wake up with Regrets ".You must be wondering why I am talking about such a saying. In life you have to choose wisely and smartly the first time as life doesn’t give you many second chances .Similarly in insurance while choosing a term plan a degree of caution is advised. You must have visited famous mobile stores in India where you would have seen mobile handsets of different Companies. The sheer number of mobile phone models of different Companies, Smartphone’s, CDMA Handsets must have blown your mind away. Every month newer models are introduced which fill up the shelves of these mobile stores. If you had been to the markets of Bangalore last month you would have found your food bill skyrocketing? Why is this so? The reason is simple. Those Pricy Veggies .You must have noticed the Consumer Price Index Inflation in the month of May at 9.31%. This basically measures the monthly change in food, fuel, clothing, housing, medical, transport, household items and so on and this has steadily risen over the past few years .Can you imagine what the prices of all these goods might be about 10 years down the line. How Do you Beat This Rise In Inflation? The answer is incorporating the inflation factor in your term plan .You need to remember that if you are not around the burden of taking care of your family falls on your spouse and in these times of high prices according to the rule of thumb you need to take a cover of at least 12 times your monthly salary minus your investment assets plus any liabilities. Let us consider that you plan to retire at 60 Years of age. You are currently 30 Years of age. According to the rule of thumb you deduct your current age from your planned retirement age. In this case it is 60 Years minus 30 Years which is 30 Years. This translates to tenure of 30 Years for your term policy. If you are 30 Years of age and have taken a single term insurance policy with tenure of 25 Years your policy comes up for renewal when you are 55 Years of age .If your health condition is bad would you get a renewal. Definitely not .Hence it would be wise to take up another term policy when you are 35 Years of age which would expire when you are 60 Years of age. This way you are covered throughout your working life. What is your worst nightmare? Isn’t it that the insurance agency will not pay your family the claimed amount when you are not around and can do nothing about it? .Don’t you think it is wise to check the Insurance Agencies Claim Settlement Ratio? You must have noticed that the old insurance war horse has the highest claim settlement ratio. This is a generally known fact. But what about those Private Sector Insurance Agencies which set up office in India in the early 2000’s.These companies initially had a claim settlement ratio in 2007-2008 period of around 65%.This meant that 35% of the claims were not settled. This number drastically improved in the Year 2011-2012. Where the claim ratio went as high as 85% for many of the private insurance agencies. So Why Was The Claim Ratio Low Initially? The old war horses were masters in the insurance business and had the weight of experience behind time along with a large network of agents, customer loyalty and a brand image Let us consider that a life insurance agency faces an early claim mainly a young person of 28 Years has taken a term insurance policy for a tenure of 30 Years paying a premium of around INR 10000.for a claimed amount of INR 1 Crore. If a claim is made within a couple of years don’t you think the insurance agency will be suspicious and thoroughly investigate suspecting a fraudulent claim whether it is an old warhorse or a new insurance agency? This resulted in a low claim ratio initially for these private insurance agencies. The claims made within a period of 3 Years of the term insurance policy are thoroughly checked and claims can take up to 6 Months to settle. 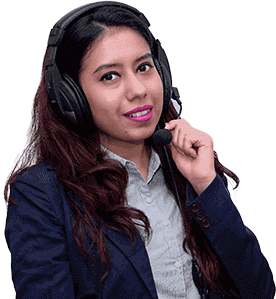 Since many insurance agencies had recently set up operations in India in the year 2007 their early claims clustered in the Year 2010 and gradually their claim ratio improved. This proves that claim ratio alone is not a good indicator of the performance of an insurance agency and certain other factors also need to be taken into account. This is basically the percentage of claims rejected by the insurance agency and is a better ratio to measure the claim settlement of an insurer. A claim repudiation ratio of 40% states that out of every 100 claims made about 40 were rejected. So what could be the reason behind so high a claim repudiation ratio? This could be because of wrong or incorrect information filled up in that term policy, hiding and failure to disclose certain relevant facts as well as the mis selling of these policies by insurance agents who just fill up anything in order that you take up this life insurance policy. This might also reflect the underwriting abilities of the insurance agency and since term insurance policies are pure risk polices unlike Endowment polices where there is a percentage of your own money returned to you.Term insurance claims are a huge expenditure for the insurance agency and form a higher percentage of refusals for these insurance agencies. Always fill up the term insurance policy yourself and remember never to hide relevant information like the taking up of additional term plans from other insurance agencies whose disclosure might be required. Always take medicals even if not required as this can enhance your chances of getting your claim processed. You must be knowing that when you file your claim with the insurance agency your claim gets registered. A certain life insurance firm or agency might have a claims pending ratio of 40%.This means that out of every 10 claims made 4 claims are pending. So Why Does This Happen? Does This Mean That The Reputation Of The Insurance Agency Is Bad? The agencies which have high claims pending ratio are relatively young. These life insurance agencies might get a large number of claims during their initial years of operation and might require a thorough investigation especially if the claims come from young policy holders of a term insurance policy within the first couple of years .Many times policy holders take up polices in these relatively newer private insurance Companies thinking of taking advantage of their relatively newer operations and these life insurance agencies need to do a thorough past medical history check up which might take time. Another major factor is that the claimant might not provide sufficient documentation or might not show interest in pursuing his claim. So these factors need to be kept in mind whenever you judge the claims pending ratio of a new insurance agency. However you need to note that an insurance agency with a 5-6 Year set up of operations should not have too high a claim pending ratio. What do you mean by Solvency. This is basically the assets of the life insurance agency such as fixed assets and investible assets minus the liabilities of the insurance agency which are the claims to be paid out, payment regarding surrender of the policy and the payments regarding maturity benefits and so on. An insurance company has future payouts to make and calculates its liability based on these future payouts. In India the insurance agencies need to maintain the solvency margin of 150%.However this margin is not having assets 1.5 times the liabilities but the ratio of the actual solvency margin to the required solvency margin is 150%.This measure tells us if the Insurance agency will be there in the future or might face a serious liquidity crunch. However a high value need not necessarily be good .Sometimes the insurance agency might simply hoard cash and not spend this cash in investments of its business mainly cash spent to procure clients. These hoarded funds known as sitting on cash might not lead to profitability. 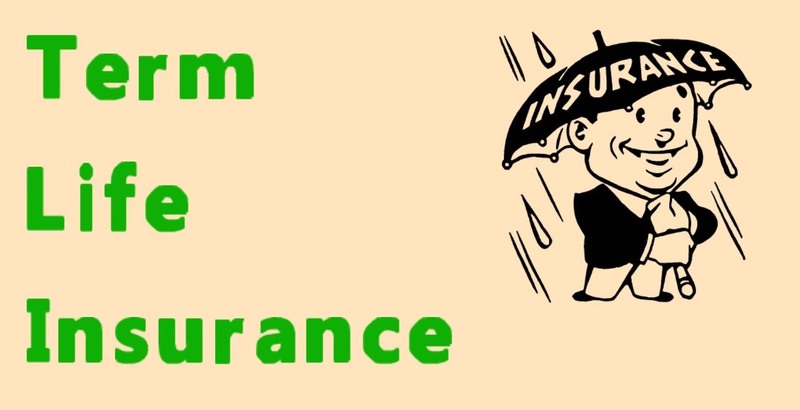 You must be knowing that term insurance policy is a pure protection policy. There are no survival benefits if you survive the term of the policy. You know the cost of health care nowadays has gone through the roof? Imagine if you were to get a heart attack during the course of your term policy. You would get nothing isn’t it? You can take a critical illness rider on paying an additional premium called critical illness rider premium. These policies cover Heart Attack, Kidney Failure, Stroke, Coronary artery bypass and so on. By taking this kind of a policy you can save yourself from serious financial damage. You must be knowing that during the cfourse of your life and work you can suffer from a permanent disability or lose your job which can result in a permanent or temporary loss in income. This would result in the lapse of your term policy .If you were to die you would get nothing as your policy has lapsed. On payment of an additional premium you can continue to enjoy the protection of your term insurance policy even if you were to lose your source of income or suffer from a serious permanent disability. This would be valid until the policy expiry date. Let us consider that you have taken this rider .In case of your death your family will get the sum assured as well as an additional income. On payment of the premium you will get a 10% additional amount on the sum assured maybe for a period of 5 years depending on how the policy is structured. I would like to end this article with the famous phrase " If You Were Born Without Wings Do Nothing To Prevent Them From Growing ".The term insurance policy with a critical illness rider is a must have for a young working individual during his initial working years as it serves as a wealth builder during the time in which his earning are relatively lesser. So you do not have that term insurance policy? What are you waiting for? Book it Now.